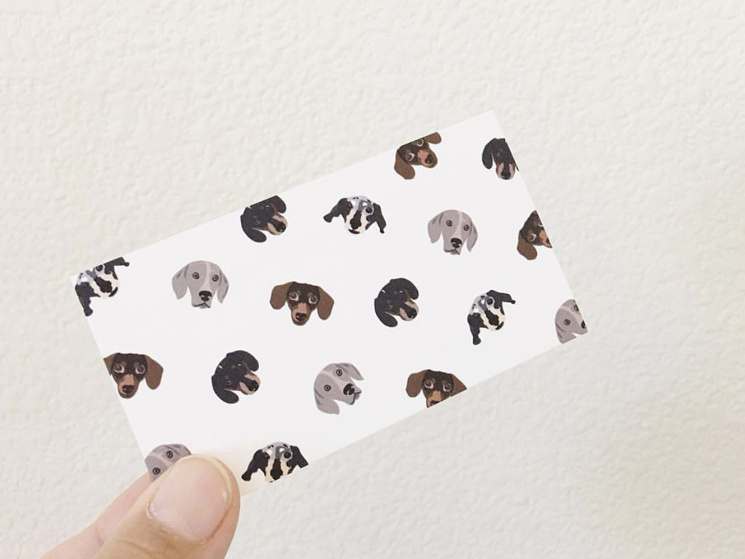 Kaori Drome designed these business cards for Harlow and Sage, the adorable dogs belonged to Brittni Vega, who is a pet photographer and a social media influencer. “Brittni wanted to create a new logo using illustrations of her four adorable dogs, Harlow, Sage, Indiana and Reese. She sent me some pictures of them and I just fell in love with those lovable dogs! 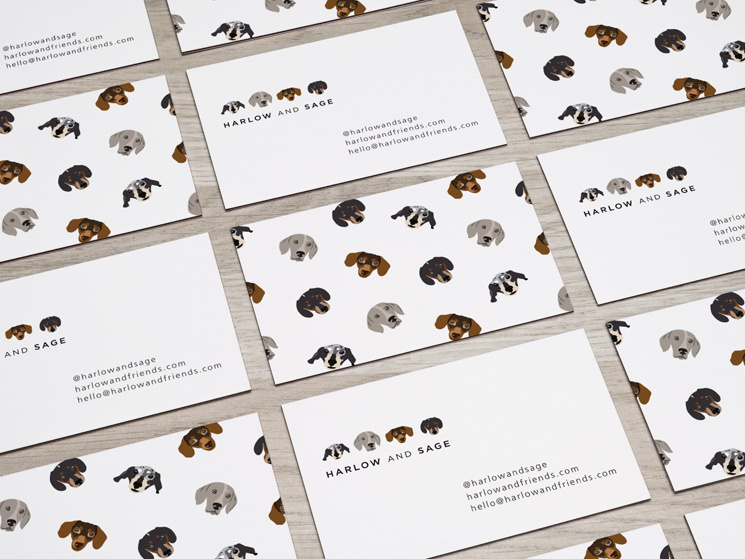 We decided to use those illustrations as a pattern on their business card and it turned out great,” Kaori said. The dogs are super adorable and that is reflected on the visual identity. Not only are they perfect as mascots but also a true representation of the brand as well.  Any dog lover will be happy to know more about them! These business cards were offset printed by Fast Printing on 350gsm Nube paper stock with a full bleed illustration on the front side.